Why do people spread rumors? Why do people spread rumors? Some of the reasons are of personal nature and some of the reasons have to do with the organizational climate. 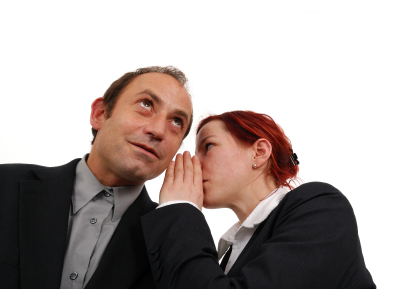 The most common reasons why people spread rumors are listed below. •	Lack of real information It's well known that when organizations withhold information from staff, rumors will fill in the void. Any tidbits of truth will be expanded and embellished to appear like the complete truth. •	Boredom When employees don’t have enough work to do, they will look for ways to spend time. One of those ways is to talk to others about others. •	Wishful thinking Did you hear that the union got everyone a raise this year?. Did you hear management will be offering early retirement packages to all employees? •	Fear surrounding bad news This is the type of rumor that is likely to spread fast, especially when the organizational climate is bad. Employees wonder about layoffs, about policy changes, about organizational reassignments and so forth, and will tend to seek out any information they can get about the dreaded bad news. •	People’s speculations about impending changes When a major change takes place, employees are likely to anticipate and speculate about the details of the change, and its effects. •	Envy Sometimes employees use gossip to bring someone down. The target of gossip is someone who's perceived to be doing well, someone that has something others want, be it power, beauty, reputation, or money. With a few exceptions, people that are down and out are not generally targets of gossip. •	To bring oneself up This is the other side of the coin of bringing others down. Sometimes there is not a specific target to bring down, but rather, our own sense of being ok is the one that needs to be bolstered. As an example, when you hear about someone in the office getting a divorce, you may not feel as bad about your own marital problems. •	Viciousness There are people that are just plain vicious and will start a gossip attack or malicious rumor without any particular reason and do it just for the pleasure of it. •	Lack of Awareness Some employees are simply unaware that rumors are not the truth, and they will tend to repeat them. Don’t be trapped by this lack of awareness. Remember to check if a rumor is true before passing it on. This applies to email rumors as well. •	To position themselves as someone in the know Those who are in the rumor production business are perceived as more knowledgeable about what is going on. A person who's given confidential information feels included. Conversely, however, those being talked about feel excluded. As you review the list of reasons why people spread rumors, you will notice that some cause more damage than others. Someone who spreads rumors just to make conversation during a coffee break is bound to cause less damage than someone who's doing it to bring another person down. The next time you hear a rumor, remember this list of reasons why people spread rumors to help you decide how damaging the rumor is and the best way to deal with it.